The Catapult is an iconic Inner Sphere Heavy Mech that focuses almost entirely on sustained long-range fire. It is easily identified by the large egg-shaped torso. Normally armed with large Missile racks and smaller weapons for self defense, the Catapult is a premier Missile Boater. With most variants equipped with Jump Jets, Active Radar Probes, and LAMS, the Catapult can poptart effectively as well, and enjoys limited protection against enemy counter-battery fire. Sacrificing speed for armor and extra room for ammo, the Catapult can stay on station for a long time, providing long-range support to its teammates while being tough enough to survive against moderate threats. The Catapult Prime is a classic Missile Boat. Carrying 2 LRM20s with 2 free tons for extra ammo, and equipped with GECM, EOptics and Improved Jumpjets, the Prime variant can bombard enemy units non-stop, 100meters out to over an kilometer, forcing them to take cover or risk suffering debilitating damage. An additional armament of 4 ERSBLs allows the Catapult Prime to defend against Light Mechs or Vehicles that sneak up on it, as well as giving it anti Battle Armor capabilities thanks to its B-Pod. 3 DHS means pilots will have to keep an eye on their heat levels. The only variant with STD engine help Prime survive some nasty encounters, as well as keep the price down. One who is after an missile boat shouldn't skip past this one. The A variant departs from the standard long-range, missile-heavy configuration that the other variants employ, and instead mounts an array of 2 ERPPCs and quad LBX2s, giving it impressive capabilities as a extreme- to long-range direct fire-support Mech. The extra tons of space normally used as ammo for Missile racks are replaced by 6 Double Heat Sinks, giving the Catapult A greatly increased heat management capability, Beagle Active Probe for improved sensor range and extra ton of armor. 2 ERPPCs provide the primary punch, hitting hard and disorienting enemy pilots, while 4 LBX2s allow the A variant to continue pouring fire into targets while waiting for the PPCs to recharge. A single LAMS helps the Catapult A mitigate some missile damage. 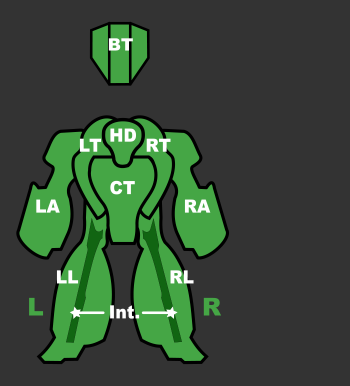 Because the Catapult A has no large, obvious missile racks, it has a much smaller profile, as its weapons are all clustered around the Center Torso. The net result closely mimics an overgrown Raven C with Improved Jump Jets. The Catapult B mounts 2 MRM30s as its primary arsenal, giving it impressive close- to mid-range firepower that can shred through nearly any target in just a few salvos. While the MRM30s can hit up to 650m away, their effectiveness tends to drop off dramatically as range increases. 4 ERSBLs make effective weapons for dealing with lighter enemy assets, and when coupled with the MRMs make the Catapult B very effective against enemy Battle Armor. 6 Single Heat Sinks can somewhat manage the heat generated by the MRM30s, and while the B variant has 2 free tons, ammo can still become a serious concern. This variant does not mount LAMS or an Active Radar Probe, but keeps the Improved Jumpjets, making it somewhat less adaptable than the other Catapult variants. The C variant mounts 2 massive ArrowIV launchers with 2 free tons for ammo. This limited loadout allows the Catapult C to deal immense long-range damage assisted by its EOptics equipment. When coupled with a friendly NARC or TAG equipped unit, the C variant can decimate targets up to 3km (3000m) away. Sporting only 2 SBLs and 2 MGuns, the tradeoff for this incredibly long-ranged, devastating loadout is a lack of any appreciable close to mid-range self-defense abilities. The Catapult C also suffers heat management problems, as the ArrowIV launchers and JJs can generate quite a lot of excess heat that its 3 DHS have a tough time keeping up with. Mechwarriors should consider chain-firing the Arrow launchers to better manage their massive heat spikes. The Catapult D, much like its brother the Catapult B, trades long-range standoff firepower for short range brawling muscle. The D variant mounts 4 SRM6 launchers, which deal high damage while simultaneously inflicting severe cockpit shake. Paired with its complement of 4 MBLs, the Catapult D can brawl with the best of them, forcibly throwing off enemy aim and shredding armor while keeping up a withering amount of laser fire. Improved Jumpjets gives it some much needed mobility. 4 DHS let the D variant maintain this barrage for a decent amount of time before overheating, while 4 free tons also allow it to carry extra reloads for each launcher. Finally, a single LAMS helps the Catapult D mitigate some missile damage, as its somewhat slow top speed and limited amount of armor won't let it stand up to long range enemy fire for very long. The E variant is a slightly more long-range focused version of the Catapult Prime. Its missile systems have been upgraded to 2 ELRM15s, allowing the Catapult E to lock and fire its missiles out to a maximum range of 1500m, 500m more than standard LRMs. The E variant swaps its standard medium lasers for 4 AC2s, which, while slightly lowering its close range firepower, still allow it to defend against light assets and Battle Armor without further burdening its two Single Heat Sinks. It also has 4 free tons, which it can use to carry 2 reloads for each launcher. Finally, along with the standard Prime equipment loadout of EOptics and JJs, the Catapult E also carries a BHP, which pushes its active radar range out to 1400m. The Catapult F is a mid to close range asset with sneaky firepower. With the Catapult being a missile focused mech, players are bound to look at its pair of streak launchers as its main weapon, but its array of 4 AC5 is just as important, as their combined damage profile is slightly better than a gauss rifle despite sacrificing 100m of max range. Pilots will find themselves mostly skirmishing at mid range, slowly inching closer as they look for the right time to deploy the 2 SSRM6s, their operating time extended by two tons of reloads total. Pilots are encouraged to take advantage of the Catapult F's versatility helped by its JJs rather than rushing straight into close combat, since specialist brawlers might overwhelm them. A downside of the Catapult F is that it's the only variant that carries absolutely no extra equipment, potentially leaving pilots without good map awareness flat footed. Despite having no extra heat sinks outside those hardmounted in its reactor, its autocannons cause negligible heat while its missiles were meant for decisive killing blows rather than prolonged brawls. The variant isn't ammo hungry by any means, but with a weapons load consisted solely of ammo dependent weapons, pilots should routinely check for shortages. The G variant does with chain guns what the D variant does with missiles. 2 RAC5s let the Catapult G scour the armor off its enemies, while 2 MPLs and 2 SPLs give it modest staying power as its RACs cool off or unjam. The G variant also includes both iJJs and MASC, giving it mobility that the Catapult D lacks. This can let the G variant survive or escape situations that might otherwise destroy it, increasing its longevity. However, only 2 free tons of ammo means that pilots will often be returning to the mech bay to rearm, as the RAC5 chews through its ammo supply very quickly. 6 DHS ensure negligible heat issues, if the pilot wont jump or use MASC in the middle of fight. 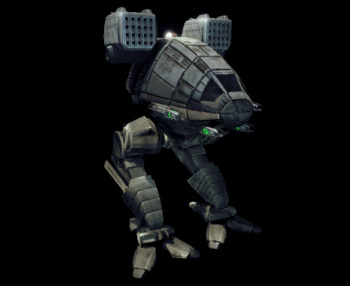 The Catapult is an offense oriented, second-line fire-support BattleMech initially produced on a limited contract for the Terran Hegemony. Representing Hollis Incorporated's first foray into the 'Mech market, the Catapult was produced in record numbers over its initial three-year period from the company's brand-new, state-of-the-art factory. Designed as a fire support Mech by the Star League, the Catapult is not as fast as other Heavy Mechs, but does feature decent Jump Jet capabilities. This allows it to gain the high ground, unleashing it's long-range missiles on hapless foes below. This page was last edited on 30 January 2019, at 21:40.